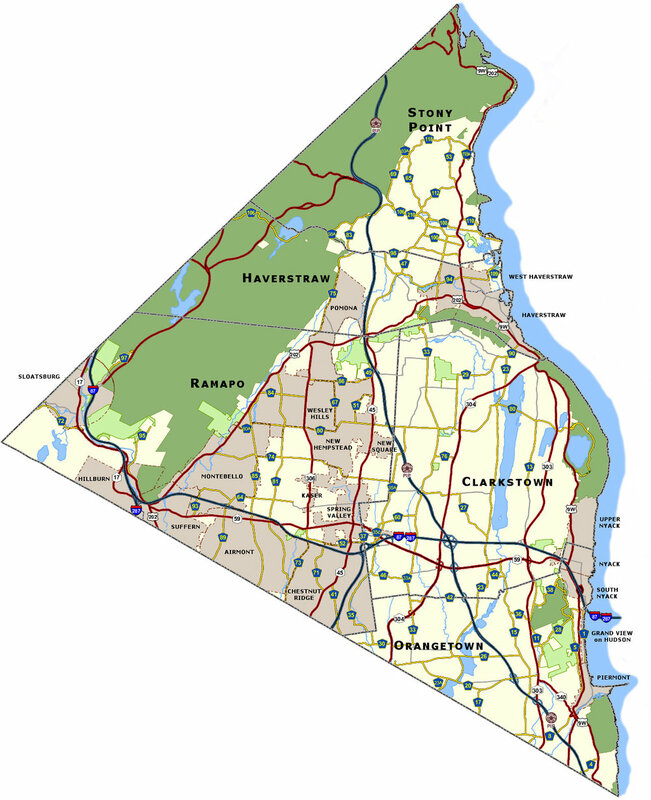 Local geography: Which towns in Rockland County do Green Meadow students live in? Today: Rockland County, NY, where 127 of our 210 families live. Students come from in the following towns: Airmont, Blauvelt, Chestnut Ridge, Haverstraw, Monsey, Montebello, Nanuet, New City, Nyack, Orangeburg, Palisades, Pearl River, Piermont, Pomona, Sparkill, Spring Valley, Stony Point, South Nyack, Suffern, Tallman, Tappan, and West Nyack.